We are a small business. We know how frustrating it can be to deal with faceless multinational corporations. Personal customer service makes a big difference. That’s why each of our customers speaks directly with one of our founders and gets the attention they need every step of the way. Business moves quickly. Getting great signs and graphics should be painless. We make it our priority to get all your custom signs and graphics to you when you need them. Vehicle branding remains one of the most cost-effective forms of advertising. Get cut-lettering, colourful print or full vehicle wraps to promote your business today. We started this company with our signature FridgeWraps. We wanted to transform people’s perception of one of the most common appliances in their homes. We didn’t stop with refrigerators. Make your windows and interior work harder for your business. We make window decals, promotional signs and specialty displays tailored to your needs. Laptops and phones go everywhere you go these days. Our custom macbook, laptop and phone branding services help you advertise your company with style. We use the highest quality sign vinyl for all of our applications. With an outdoor life of up to eight years, you can be sure our graphics will weather any storm. 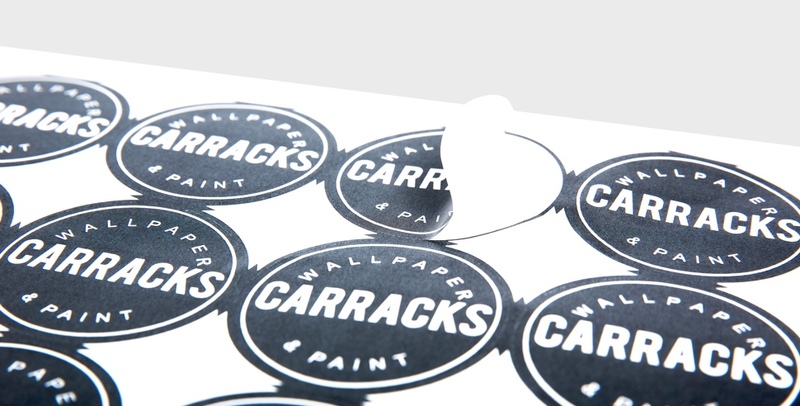 Our digital print vinyl comes with a scratch-resistant laminate that keeps colours bold and lines sharp for longer. You might be surprised how versatile vinyl is when it comes to product design. We’ve integrated vinyl decals into designer furniture, homeware products, and consumer electronics for several clients. Incorporating vinyl into your products offers great benefits over alternative processes. Faster speed to market, personalisation options and textured finishes are just a few. Vinyl Signs & Graphics for Business Creative signs and graphics services focused on quality and customer experience Looking for sign writing for your vehicle, stunning printing solutions or custom stickers? We are here to turn your ideas into innovative products, displays and promotional tools your customers will love. We use vinyl because it offers unlimited creative potential to anyone with an idea and a surface. We created this company to do innovative things with a material that has been around for a long time. There’s nothing we like more than to get creative for your business. Developing a product? Contact us to find out how you could use vinyl to add that final designer touch. There’s nothing we like more than to experiment on innovative product design. Are you a retailer interested in stocking our products in your store? Wall graphics, FridgeWraps or Macbook stickers. We have hundreds of designs for all sorts of market demographics. We work with retailers to supply them with the products they want in the time they want them. Getting stunning print solutions shouldn’t be hard work. Our high-resolution print can be fitted to any smooth surface or mounted on foam and metal composite boards. Need some vinyl graphics for your business? Contact us to get quote today. Not sure what you want? No problem. We’ll walk you through the options available. Vinyl offers one of the most versatile design experiences imaginable. We work with interior designers of homes, shops and offices to transform surfaces into unique statements of art and design. Create truly bespoke designs for a residential home or a comprehensive brand experience in your shop. Contact us to find out how we can do something exciting and creative together. Office interior design makes a strong impression. Impress clients and employees with custom wall graphics that showcase your achievements and philosophy. Working with a local business matters when it comes to getting custom vinyl graphics fitted. It means we can talk with you directly, get a feeling for your business and understand your needs. Our vinyl graphics services are the mainstay of our business. 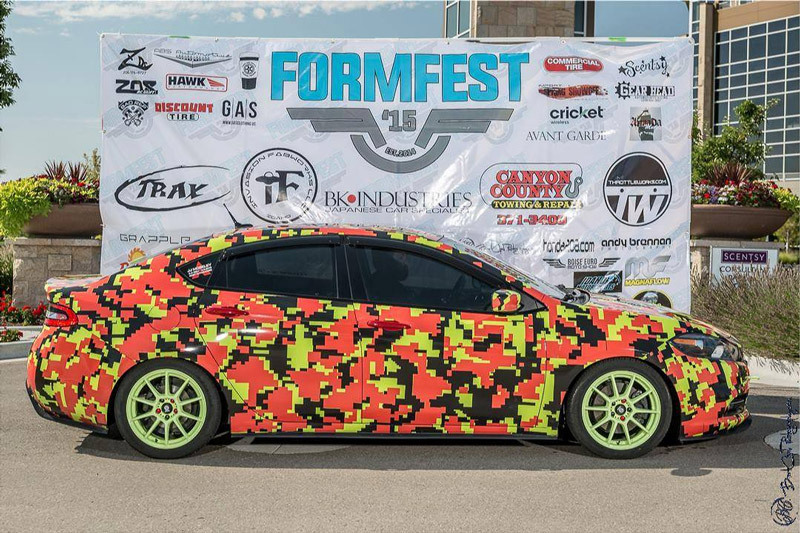 Window decals, vehicle graphics, sign writing and unique event installations are just some of the ways that we can help. We make getting beautiful signs and graphics simple so that you can focus on your business. No matter how simple or complicated your needs. We make sure they are met within your deadlines. Attract customers and promote your business. Outdoor and indoor banner advertising is a simple and highly effective way to get noticed without breaking the bank. 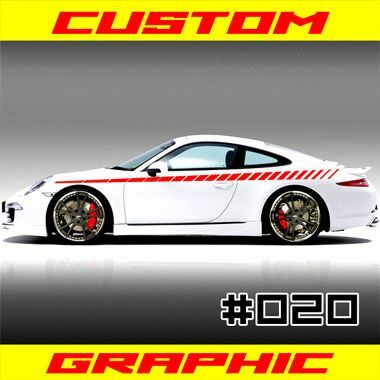 Don’t have a design for your custom graphics or signs yet? Not a problem. We offer professional design services that focus on giving you plenty of opportunities to provide feedback. 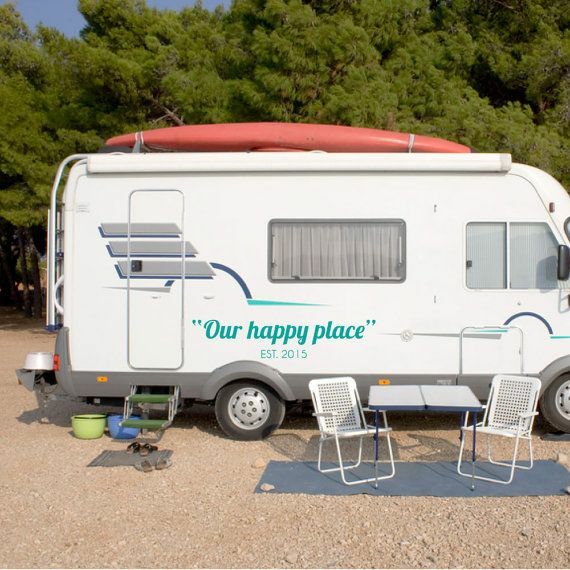 We make sure you are involved as you want so that you get exactly what you’re looking for. 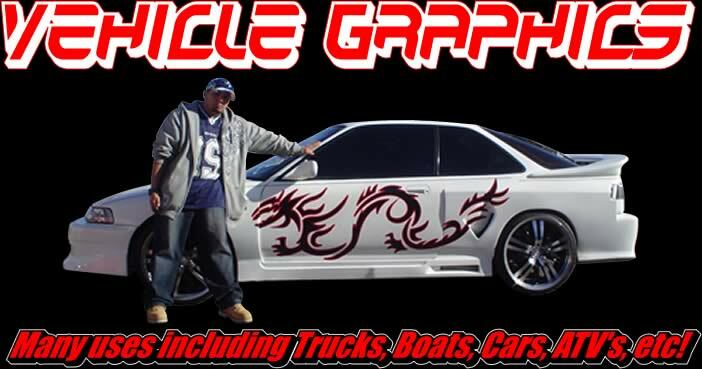 Custom Vinyl Graphics is your one stop shop for rear window decals, car decals, vinyl pinstriping, wall decals and all custom vinyl decals. Rear Window Graphics Our car and truck window graphics are cost effective for advertising your business and perfect for adding some personal style to your vehicle. They don’t require professional installation and they don’t hinder your vision since they are printed on perforated vinyl which allows you to see right through it. We offer a low cost design fee for those customers without the ability to set up their own file. And what’s more, we offer a clear coat lamination of our rear window decals which extends the life of the graphic by protecting it from harsh UV rays.Car Decals When you want to make your vehicle stand out, our car decals are the answer. Meant to be applied to the body of the vehicle, we offer an insane selection of styles to suit every personality. 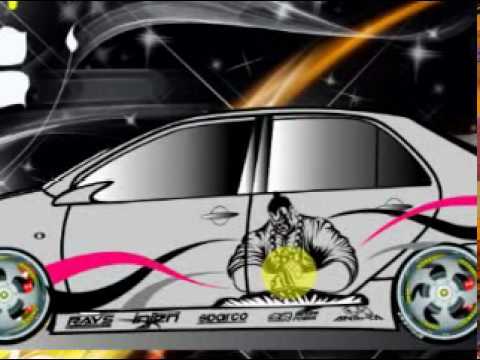 From flames and flags, to barbed wire, razor tears, skulls and abstracts, our car decals are vivid and eye catching. And if you don’t see one that you like, remember, we can make custom vinyl graphics to suit your personality.Vinyl Pinstriping It’s not just a line. 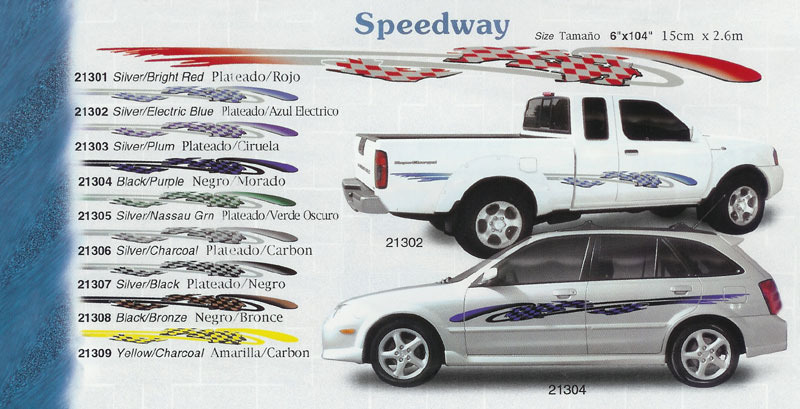 Vinyl pinstriping plays a huge factor in the look of your car, truck or boat. 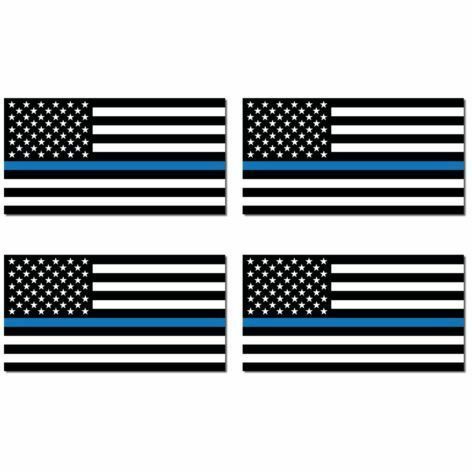 Starting as thin as 1/4″ our pinstripe tape goes all the way up to 12″ wide. And we only sell Marine Grade quality striping made to withstand the harshest of elements without fading. 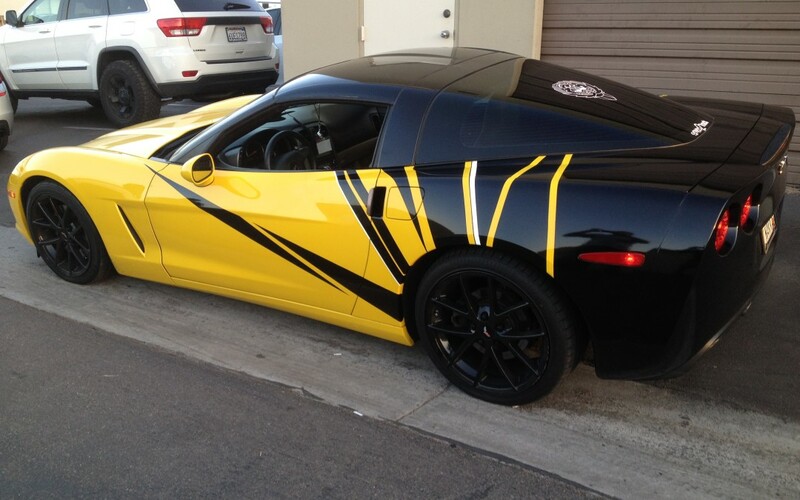 Our vinyl pinstriping is a simple do-it-yourself project that can subtlety or radically change your vehicle. The choice is yours. We honestly have it all: – Single stripes – Multi stripes – Multi colors – Opaque colors – Metallic options Custom Wall Decals If you’re impressed with the change a simple pinstripe makes, you won’t believe how our custom wall decals can transform your space. A large, custom vinyl decal for your wall can turn a “mom and pop” retail space into a professional looking establishment. And don’t forget how our wall decals can transform your home! Our custom wall decals are great everywhere: to show team pride in the man cave, add fun to a child’s room or use custom lettering in your family room. Making a statement is our business With the exception of vinyl pinstriping, we can customize almost anything you can dream up. Contact us with your idea for a custom vinyl decal. Transform your plain refrigerator into the talking point of your kitchen. Get personal customer service with professional design and installation services. Successful events rely on creative branding and installations. We work closely with clients to create unique spaces that have a strong impact on participants. We supply our products pre-packaged, barcoded and with unique product identifier SKUs. Our partners get stock that is ready to be sold the minute it arrives. Their customers get a unique product they will want to show off. Contact us to find out about our distribution methods and pricing.